The 57th Guards Fighter Aviation Regiment rises up out of the dust and ruins of a devastated Russia reeling in the aftermath of a seemingly unstoppable German onslaught. Stalin rallies his forces and holds firm in spite of the opening months of defeat and the loss of millions of his men and tons of material. 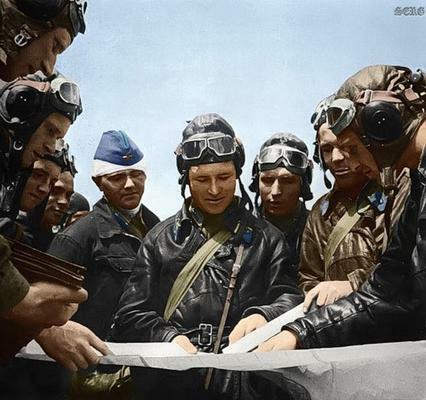 Out of the shocked and wounded Soviet Air Forces rises a cadre of Ace pilots who begin to adopt a new tactical expertise they have crafted fighting in the skies over the Eastern Front. As the tactics and organization of the Soviets Air Force progresses so does their replacement aircraft. New aircraft with superior performance begin to replace the antiquated earlier models and gradually the momentum shifts. You are a part of this historic defense of Mother Russia as you take to the skies to fly fighter and ground attack missions in defiance of the over rated and increasingly beaten Luftwaffe. With stretched supply lines and the realization that men and material are gradually being squeezed thin, the Germans have to come to terms with the "Lightning War" that has become mired in the unforgiving steppes of Russia. This unit is based on a historical persona type of combat flight simulation with a goal of immersing the member into the unit, as a member of a cohesive fighting squadron. Flying both to accomplish the missions at hand.... but in a style that assures the best chances for pilot survivability. 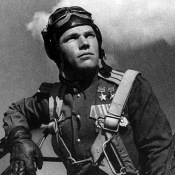 Pilots of the 57th Guards are urged to use the "Dead is Dead" scoring system which will require after action reports detailing combat results from our sanctioned "Dead is Dead" missions. Missions such as these are usually flown within FNBF combat servers. In addition, TAW and Random expert style servers are also planned for future "DID" missions as well. An awards program will be in effect to show pilot proficiency if and when we have enough personnel to organize. We will have in place a Training Program which will highlight, Radio Discipline, Formation Flying, and Combat Maneuvers. It all depends on the numbers of interested pilots who are willing to commit to this style of gameplay. We hope the new Spitfire and the soon to be released Battle of Kuban, will bring new interest to the Soviet side of this conflict. 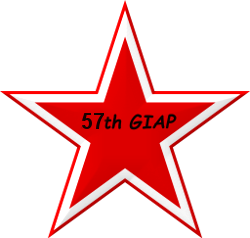 The 57th Guards had previously been named the 36th IAP up until 2/8/43 when the name was changed on the award of the much coveted 'Guards' status. I am claiming the unit for the upcoming Battle of Kuban in addition to the fact that this should not interfere with existing Soviet VVS units already formed. As you can see from the roster below I have created a historical pilot and this is how the roster will look for the unit, with an additional awards section to be added. The menu to the left introduces you to our Luftwaffe Division for those who are not familiar with our units. Let's get this party started.....and grow the Soviet Air Force to comparable proportions. How much time can you devote to the unit per week? Do you understand that this unit is a historical based unit and will fly within a team concept utilizing WW2 based combat tactics and communication procedures? Do you understand that this unit will have a chain of command structure in keeping with it's historical counterpart?